The 20th anniversary collectors’ edition of the modern classic ‘Come Find Yourself’ will be released on the Edsel label through Demon Music Group on the 19th of February 2016. Available as a 3CD expanded edition and collectors’ Deluxe Edition box set, the release features a plethora of rarities, live recordings, alternate mixes, and much more from the vaults of this landmark record. Bringing a unique collection together from this seminal era for the very first time. 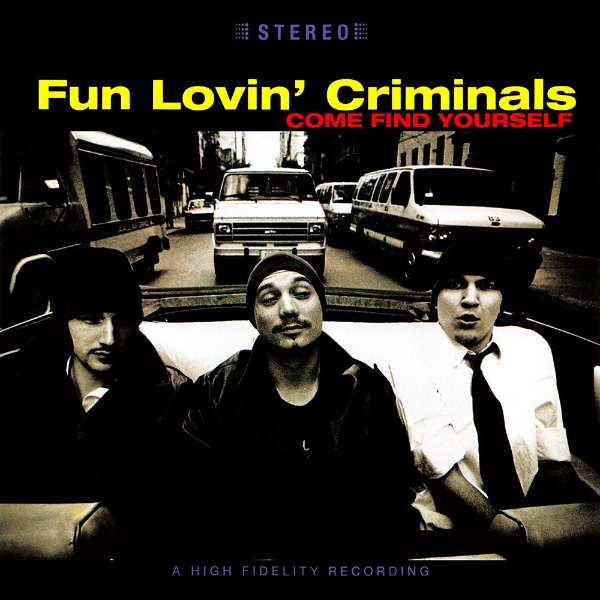 Fun Lovin’ Criminals burst onto the music scene in 1996, gate-crashing the euphoric Britpop party they brought along some unexpectedly unique swag and the generational classic album ‘Come Find Yourself’, which gave us the cackling refrain “stick ‘em up punk, it’s the Fun Lovin’ Criminal” and the Pulp Fiction–sampling ‘Scooby Snacks’. When ‘Come Find Yourself’ hit the shelves it was an immediate smash in the UK, where it remained in the album charts for more than 100 weeks, becoming a multi-platinum selling record. The album featured 3 Top UK 30 hits: “The Fun Lovin Criminal,” “King Of New York”and “Scooby Snacks,” all became defining songs of their career and mainstays of their live set but it’s a record where you remember each and every track within the first few notes. It transports you back to the time; and yet is timeless and ready for a new audience of fans to fall in love with it all over again. Fun Lovin’ Criminals’ infectious blend of cinematic hip-hop, rock ‘n’ roll, blues-jazz , latin-soul set them apart from the Britpop scene. 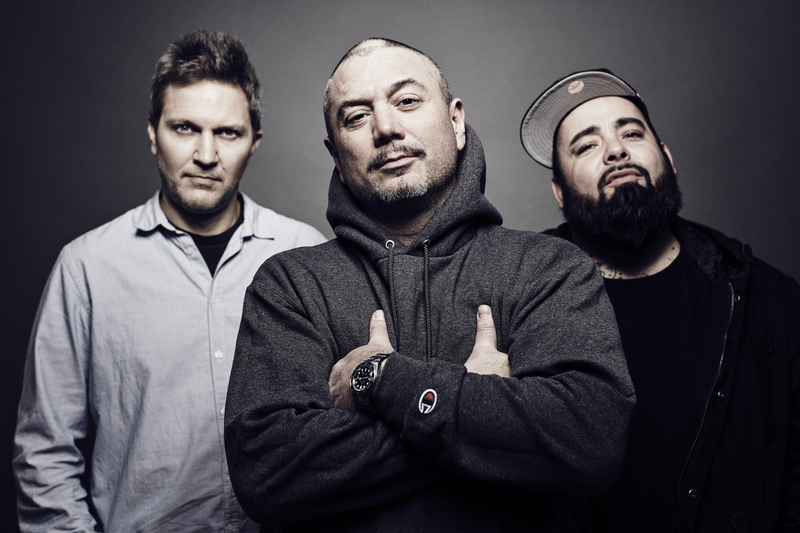 Their sound was not tied to a particular artist or era, combining their eclectic influences and backgrounds into a musical mix that sounded like no one but Fun Lovin’ Criminals. They remain the worlds’ finest and only purveyors of this sound. The UK’s best-loved “cousins from New York”, whip-smart story-tellers in smarter Saville Row suits who, through comically tall tales of living large in the neon metropolis via music, drugs, crime and existential ennui, brought a nearly perfect album to kick-start their career; a record that still resonates and charms two decades on. To celebrate the 20th anniversary of this modern classic, Huey Morgan, Brian ‘Fast’ Leiser and Frank Benbini have opened the archives to share with their fans and will be playing the record from start to finish for the very first time on their world tour throughout 2016. Among the additional material on the release will be a collection of the band’s BBC sessions from the ‘Come Find Yourself’ era, including sessions recorded at the famous Astoria venue in London. There are also a number of alternate versions of the songs from the original album, including instrumentals. The collectors’ edition will come with a bonus alternate LP vinyl picture disc and a BBC Sessions 10” vinyl EP. A DVD completes the package rounding up a unique collection of footage from the time; including the original 1996 EPK shot in NY, a few TV performances from TOTP to Jools Holland’s Hootenanny, the original music videos including both versions of the ‘Scooby Snacks’ promo video, alongside a recent interview with Huey and Fast, giving a intimate and indepth perspective on this defining period. ‘Come Find Yourself’ will be reissued on the 19th February 2016. Demon Music, first 500 orders include exclusive signed print.